Follow along with this guide to learn how to build an IoT system to read data from and control peripheral devices, as well as how to create a dashboard. This article describes how to build an IoT system using an Arduino/ ESP8266, myDevices Cayenne, and MQTT. In more detail, this IoT tutorial discovers how to use an Arduino (or ESP8266) to send data to Cayenne using the MQTT protocol. Moreover, this Arduino/ESP8266 MQTT project investigates how to use MQTT to control remote peripheral devices using a web interface. This is a complete step-by-step tutorial on building an IoT system using Cayenne and an Arduino. We have already extensively covered how to use the MQTT protocol. If you are new, you should read up on that before starting this tutorial. We will focus our attention on data visualization and on the IoT cloud services. The main target of this IoT project is focusing on how to use MQTT to send data from an Arduino to Cayenne, and we want to keep other things simple. Before delving into the description of how to connect the BMP280 sensor to your Arduino, it is useful to configure the Cayenne IoT platform so that it accepts data from our IoT device. The first step is configuring a device on Cayenne. To do it, it is necessary to create a free account. Once you are ready, move to myDevices Cayenne platform and click on “Add a new…”. Select the “Device/Widget” and then select your IoT board. 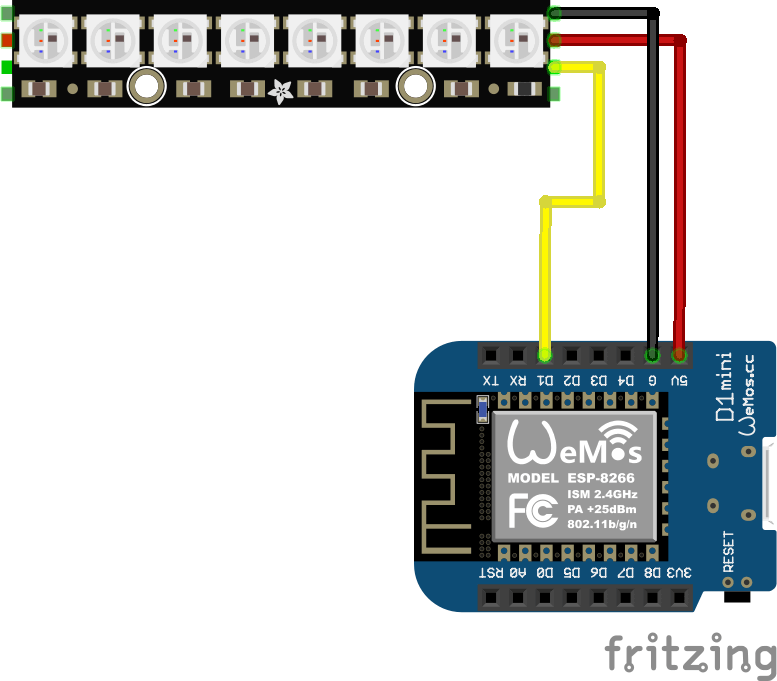 In this example, we are using an ESP8266. 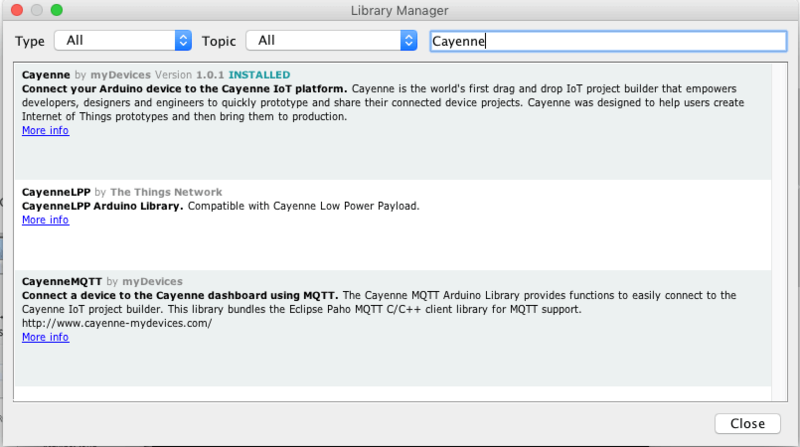 In the end, Cayenne should show a web paging containing all the details about how to connect Arduino to Cayenne using MQTT. Once the connections are ready, we can focus our attention on configuring Cayenne to accept data from Arduino/ESP8266. The last step before sending data is configuring the channels that is something like a virtual channel where Arduino sends data to Cayenne using MQTT. Usually, each physical quantity we want to measure should be related to a channel. You can notice the virtual channels used in the Arduino source code. As you can see, there are three different sliders that control the Red, Green, and Blue color components. The code is very simple,. It is necessary to define the data pin (D1 in this example) and the number of pixels supported by the Neopixel bar. You have to repeat this step for all three color components. In the end, you will get the Cayenne dashboard shown above. There are three different CAYENNE_INs — one for each channel. 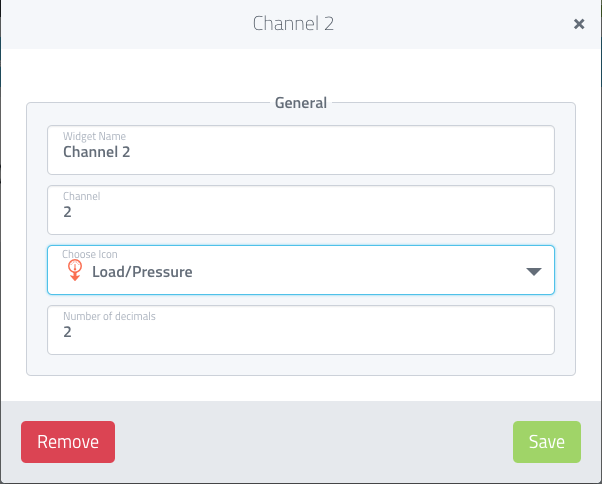 In each channel, the sketch handles the new value sent using MQTT. Every time the ESP8266 receives a new value from the Cayenne IoT dashboard through MQTT, it updates the RGB LEDs to reflect the new color components. 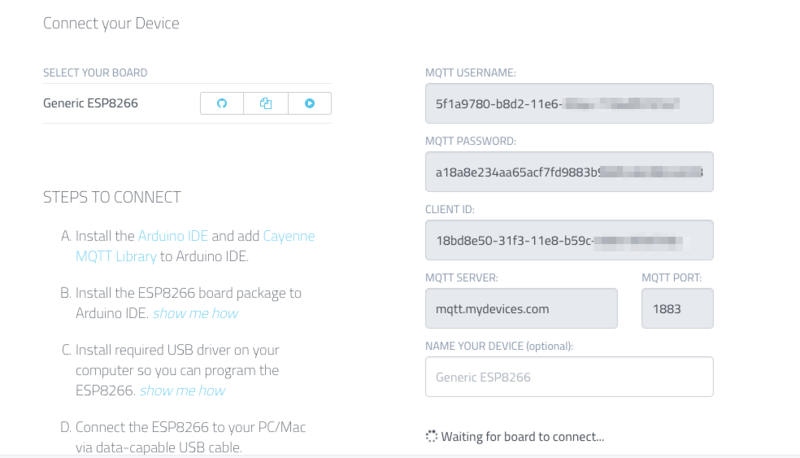 At the end of this post, you hopefully gained the knowledge of how to integrate an Arduino/ESP822 and Cayenne using MQTT. You have built an IoT system that uses sensors that measure physical quantities and send data to the cloud using MQTT. In the second part, we explored how to control peripherals connected to an ESP8266 (or Arduino) using MQTT. Through an IoT Cayenne dashboard, the ESP8266 selects the RGB LEDs' color, exploiting the data sent using MQTT. This IoT project can be further expanded, and you can apply the same principles to different scenarios and handle different sensors or peripherals.